"A First Class Response And A First Class Job Well Done.👍"
"Quick Response, Very Good Communication"
"Looked After Our Safety And Didn'T Take Any Shortcuts. Even Removed Condemned Gas Fire For Us. Very Impressed." 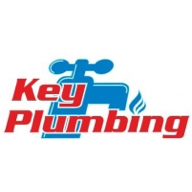 "Easy To Understand, He Fixed It Fast And Then Explained How It Happened And How We Can Prevent In Future"
"Solved The Problem And Turned Up As Arranged"
Need a Plumber, Drainage Engineer or Heating Engineer in Milton Keynes?